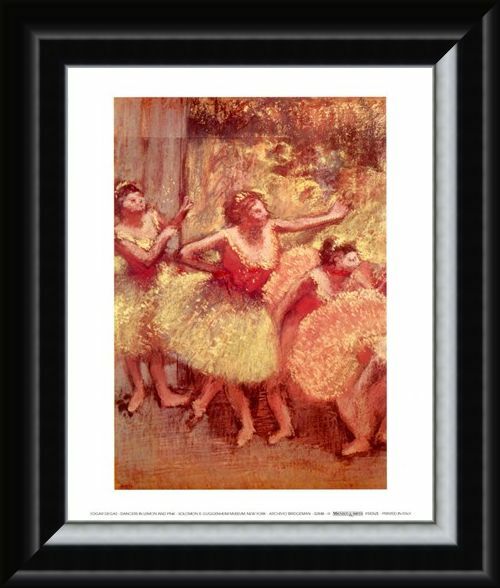 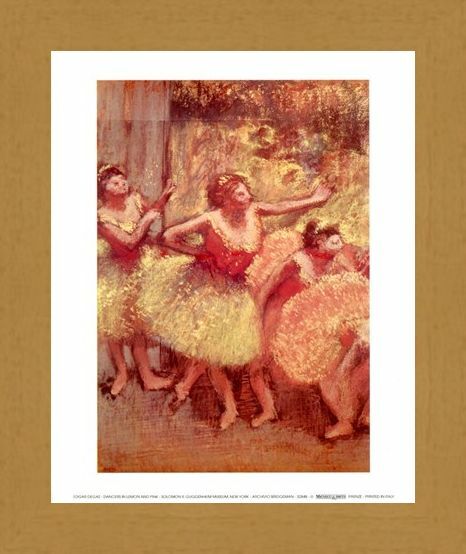 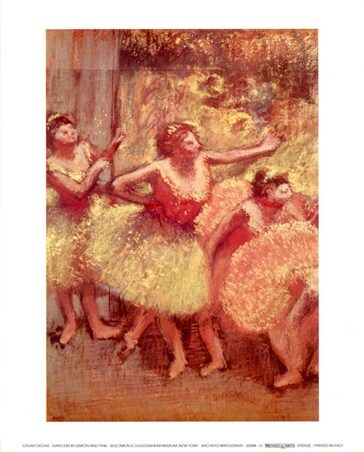 High Quality Impressionist Art Print: Edgar Degas was an impressionist artist renowned for his pieces which depicted ballet dancers in wonderful flourishing dresses. 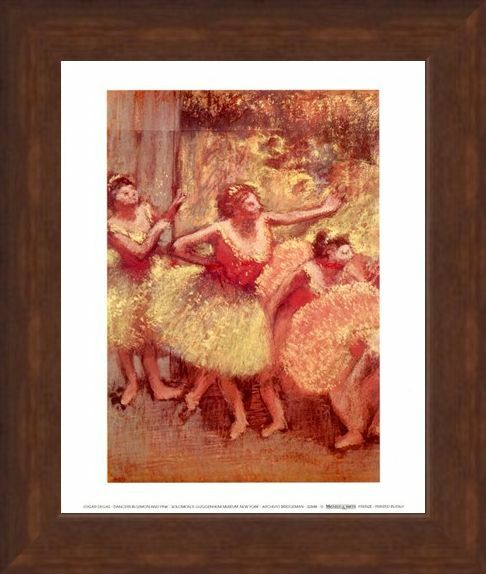 This lovely piece is called 'Dancers in Lemon and Pink' and it shows some ballet dancers as they prepare to pirouette and twirl across the dance floor in their brightly coloured tutus. 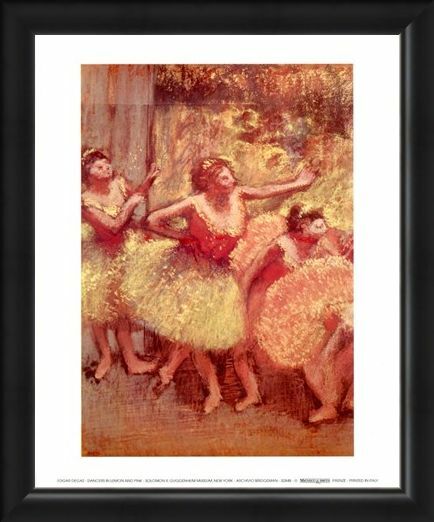 In his work, Degas strived to capture movement and he does so perfectly when painting the delicate stances of the dancers. 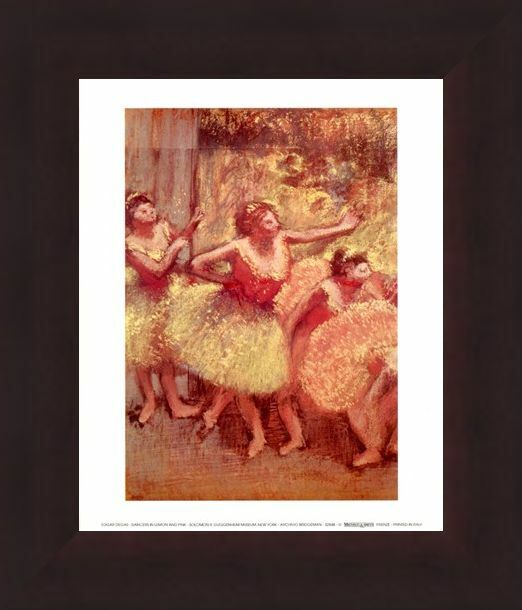 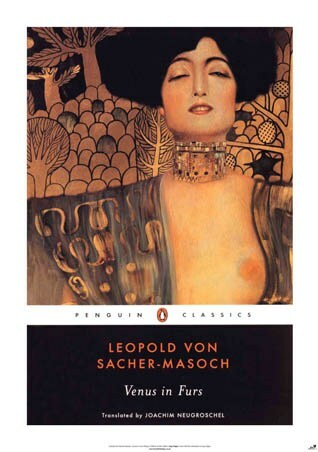 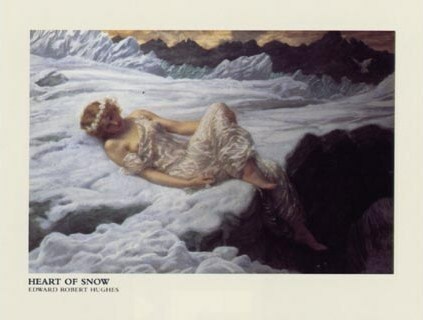 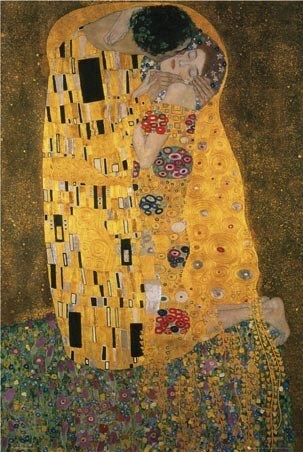 If you are looking for a truly charming print for your home this piece will certainly brighten up any room. 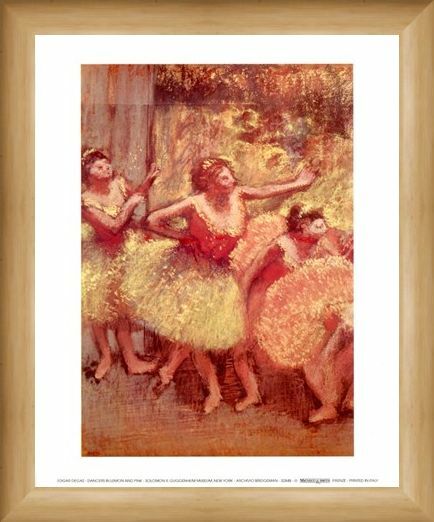 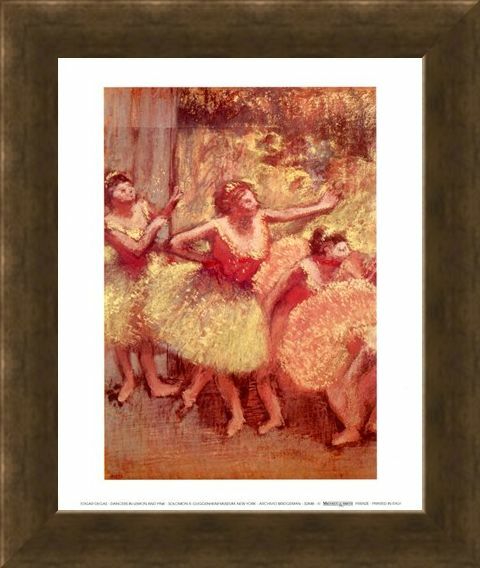 High quality, framed Dancers in Lemon and Pink, Edgar Degas mini print with a bespoke frame by our custom framing service.